This business is going to change the life of many people, allowing them to pay from their mobiles without the need for a bank account nor a smartphone. ViPPO is a company that develops mobile payment ecosystem in Latin America. Our formula, product of our research and experience, ensures that people will use mobile phone to pay. It isnt a problem that every 2 to 3 people do not already have a bank account, because we have massive consumption companies interested in using ViPPO to receive payments from clients. There are banks willing to join the next disruption of trade. Electrical Engineer 1995, Rafael Urdaneta University, Maracaibo. Master in Finance 2002, IESA. 17 years of experience in the private sector, Commercial Consultant in La Electricidad de Caracas, Commercial Director of Huawey C.A., Development Manager at Lucent de Venezuela C.A., President and founder of Corporation TEDEXIS, C.A. Commercial Manager and product development, specializes in the conceptualization of products, its implementation, and its arrival to the market. MBA from the Instituto de Empresa Business School in Madrid, Spain 2008. Founder. Marketing Manager, expert in mobile marketing. 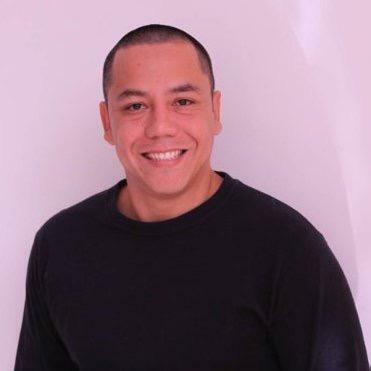 Founder of La Causa Mobile, the first agency of mobile marketing in Venezuela. Nidal has been a consultant for the firm Ernst and Young. He concluded an MBA at the University of Delaware in 1998. Civil Engineer 1983, UNIMET, Caracas. Master in management of companies 1986, IESA. 26 years of experience in the financial and General management in the Public Sector, as an officer (Vice President of the Institute of State Railways) and as a consultant in the area of Finance (IFE, CADAFE, ENELVEN). Electrical Engineer 1980, USB, Caracas. Master in Administration of Companies 1993, IESA. 30 years of experience in the public and private sector. Proyect Coordinator at Fondo de Inversiones de Venezuela, Member of the General Board at CADAFE, External Assesor to Ministerio de Energía y Petróleo y de las Empresas ENELVEN, ENELCO, ENELBAR, CADAFE y LAEDC.